From now until the end of 2016, new residents who move into either the Hughes Center or Campbell Cove will receive a holiday gift compliments of St. Catherine’s Village. Together, these two facilities offer a warm, home-like environment for individuals facing memory loss due to Alzheimer’s disease and other forms of dementia. A limited number of accommodations exist for new residents who are not enrolled in the community’s all-inclusive Life Care program. Monthly rates are available. “In the spirit of giving this holiday season, we have reduced the short-term cost to move into St. Catherine’s Village and receive expert memory care,” said Mary Margaret Judy, executive director at the Continuing Care Retirement Community (CCRC) in Madison, Mississippi. While space is limited, St. Catherine’s Village is accepting new residents at Campbell Cove and the Hughes Center, both licensed by the State of Mississippi as “Alzheimer’s Assisted Living” facilities. Architecture follows design principles to minimize obstacles so that residents can maintain their independence as long as possible. For example, buildings feature wayfinding cues and circulation paths to guide people from one place to another. They also have small yet distinctive neighborhoods that allow for individual privacy while supporting family-size gatherings. Additionally, a residential ambiance makes everyone feel comfortable in their surroundings. Campbell Cove accommodates 36 individuals in three color-coded wings, each with a common living room and dining area along with 12 furnished private bedrooms. In the center is a large multipurpose area, arts and crafts room, recreation center, and kitchen. With its combination of personal and public spaces, this layout allows individuals to enjoy their privacy yet participate in activities as they desire. A secure walking garden and landscaped patios give residents the opportunity to spend time outdoors in a familiar and protected setting. The Hughes Center, the most recent addition to St. Catherine’s Village, was created for individuals with advanced memory challenges and offers a calming ambiance for small-group sensory-stimulating activities. Each of the two distinct neighborhoods has 12 furnished private bedrooms and a common living room, dining room, kitchen, and screened-in porch and covered patio. Campbell Cove specializes in activity-focused care with the objective of fostering involvement and engagement through an array of stimulating and interesting activities. The Hughes Center, on the other hand, offers more person-centered care for those who benefit from less stimulating activities in a smaller group environment. All memory care staff members are trained in specialized programming so that residents receive loving, nurturing assistance based on their level of need. To that end, St. Catherine’s Village considers the person as a whole—spiritual, emotional and recreational—as well as physical. Planned activities include social, cultural, recreational, and spiritual. Unparalleled services and facilities are the hallmark of St. Catherine’s Village, as is companionship, a caring staff, access to on-site resident-centered nursing care, and a mission-focused environment. The ministry encourages residents in all levels to enjoy fullness of life, health and faith. It is the first retirement community in Mississippi to earn accreditation by CARF-CCAC. This “commitment to excellence” seal signifies that the campus exceeds the standards established by the nation’s only accrediting body for CCRCs. St. Catherine’s Village is a service of St. Dominic Health Services, Inc. and is sponsored by the Dominican Sisters of Springfield, Illinois, who have owned and operated the hospital since 1946. The private, gated community provides the right care at the right time for those in their retirement years. Today, the not-for-profit, all-inclusive life care community offers adults age 62 or over a graceful lifestyle where independence and activity is a priority. 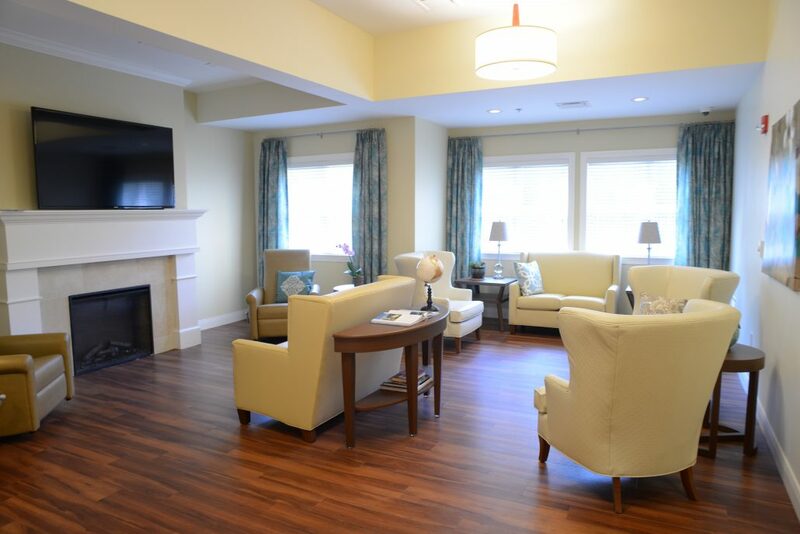 Located on 160 acres in Madison, St. Catherine’s Village provides the right care at the right time through independent living, assisted living and skilled nursing as well as memory care. For more information on daily and monthly rates as well as the holiday gift, call (601) 856-0160 or log onto www.StCatherinesVillage.com.